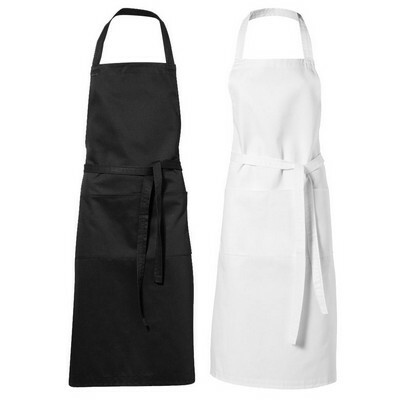 Description: A necessity in the kitchen or at the barbeque this twill fabric apron has two front pockets and 1m tie back closure. Available in 2 colours. Features: Twill fabric is made up of 65% polyester and 35% cotton. Packaging: None Colour: Black Material: Twill fabric made up of 65% polyester and 35% cotton Product Size: 700mm(w) x 1000mm(h) Freight details : 60 per carton, 15kgs, 53 x 40 x 25cms; Decoration Type(s): Colour Print / Embroider / Full Colour Print Decoration Area: Screen - above the pocket: 190mm(w) x 270mm(h). Embroidery: Centred on front: 200mm Dia. Other Methods: Contact your decorator for applicability and size.